This is a December 2014 refurbished version of the original Krasaki start page. Most likely new versions of the Lexoulla Greek exercise program and the Bylings Swedish calendar will not appear. Old versions still downloadable from download page, and works with XP. Learn and exercise Greek verbs,nouns and other words with Lexoulla in different ways! Drag and Drop and reposition the wordlist into the correct version! Lexoulla randomly selects from the database up to 10 questions and answers, mixes the answers and You drag them back into the correct position. Reshuffle verbs into the correct pattern ! Manually select tense, Lexoulla randomly selects a verb, You check the pattern, mix it all randomly and drag them back into the correct position. D) Search the database for basic and declined forms! Search the database for basic and declined forms! From the Greek-English (or Greek-Swedish) database Lexoulla finds verbs and adjectives not only in their nominative form but also in their declined forms according to tense, gender and case etc. Slowly, I do this for fun, when time permits even all nouns will be declined according to gender and cases. 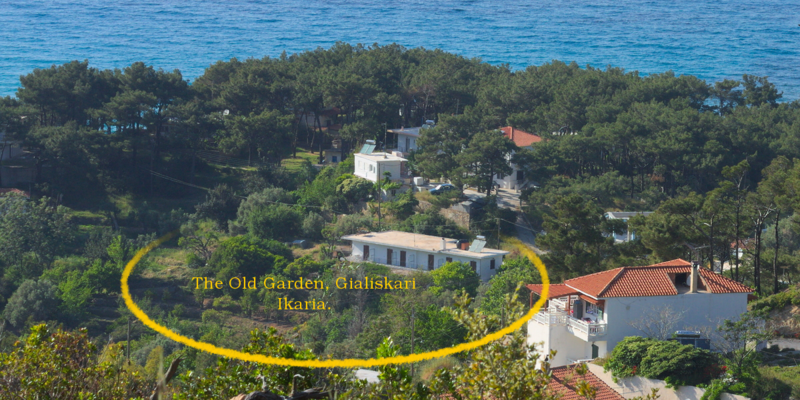 At Ikaria, don't miss to stay for a week or two at Barbara's pension The Old Garden It is a must if you stay in Ikaria for a holiday. 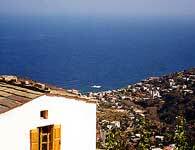 Ikarian Centre at Ikaria in Arethousa gives Greek lessons in a beautiful and quiet location. ©2014 krasaki.com. | Photos and Design by krasaki .